A recently renovated 2 bedroom villa with a pool for sale in the village of Krasici. The villa offers fantastic views from the pool and terraces. The ground floor comprises a large lounge and dining area, a fully fitted kitchen and a toilet. There are 2 en-suite bedrooms upstairs both with terraces with more great views. The village beach, bars, restaurants and grocery shop are 10 minutes walk away and Tivat airport is half an hour drive away. 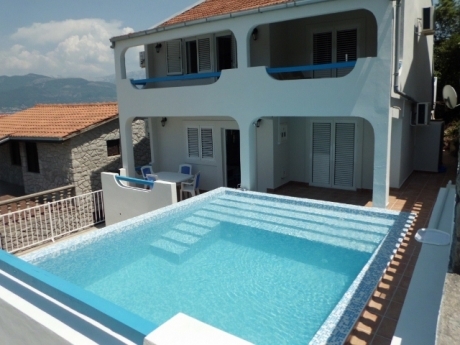 The house is conveniently located for exploration of the Lustica peninsula and its beaches with crystal clear water. This villa has good rental income from May to October. The villa comes fully furnished. €199000.